We still can't get enough of the infamous the ombre trend, so the sixteenth day of our 31 Days of Pink Odessey with essie cosmetics features a triple-pink ombre manicure. 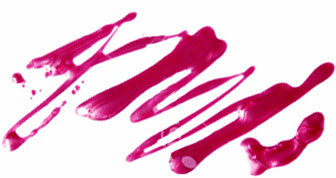 To get this look, start by choosing three shades of pink polish - light, medium, and dark. Then, paint the entire nail with the lightest color. Next, take a makeup sponge and paint the medium shade on a corner of the sponge. Dab it gently over half of the nail. Do the same with the darkest pink, but only dab the tips of the nails. Finish it off with some top coat, it will help blend the three shades together for the ombre effect. - essie polish in Good Morning Hope from the new BCA collection. - essie polish in I Am Strong from the new BCA collection. - essie polish in Tour de Finance.